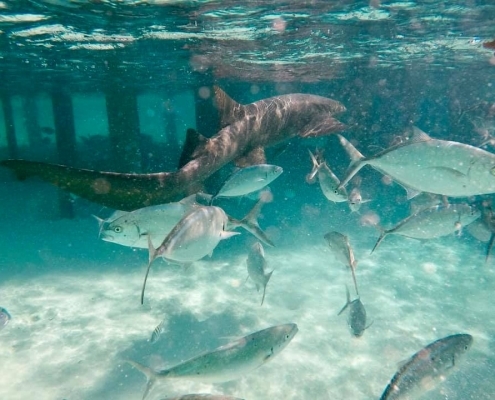 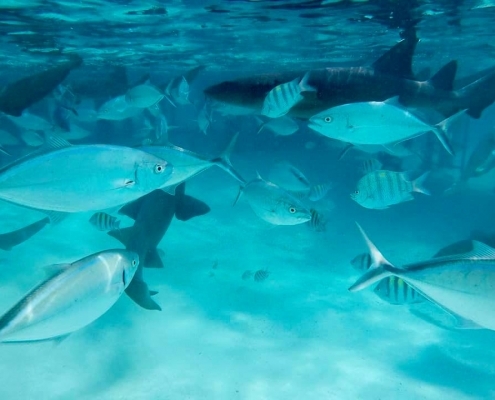 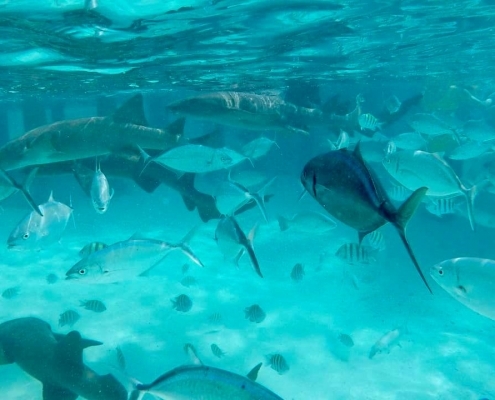 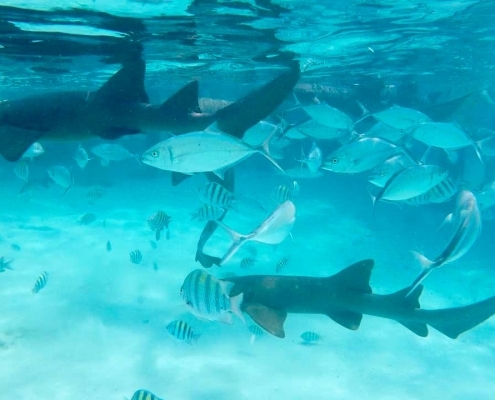 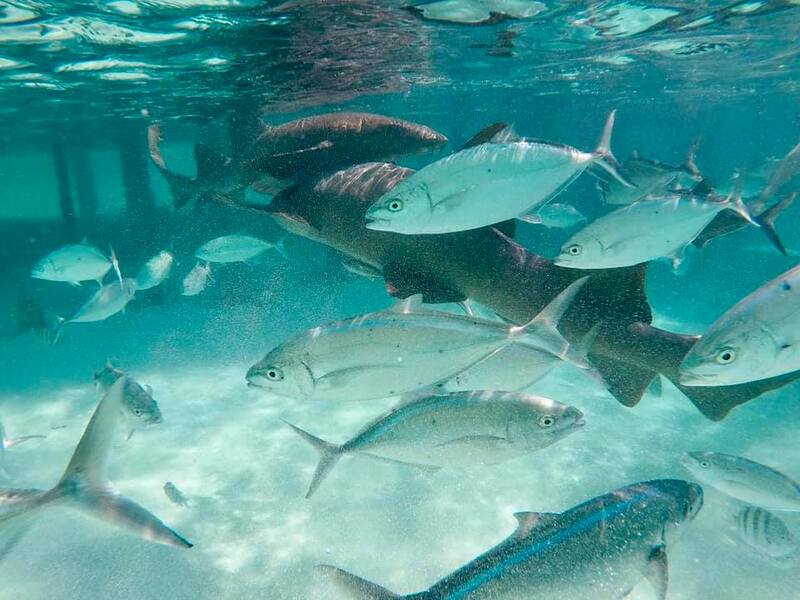 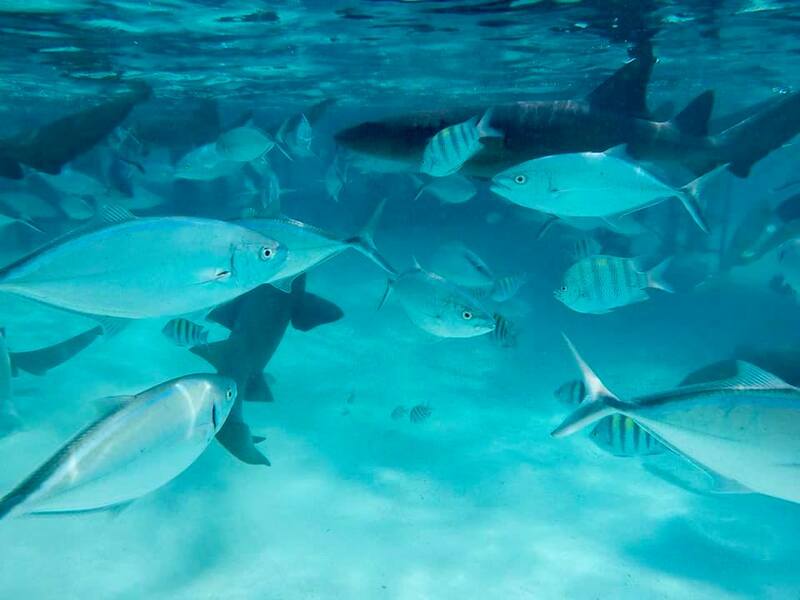 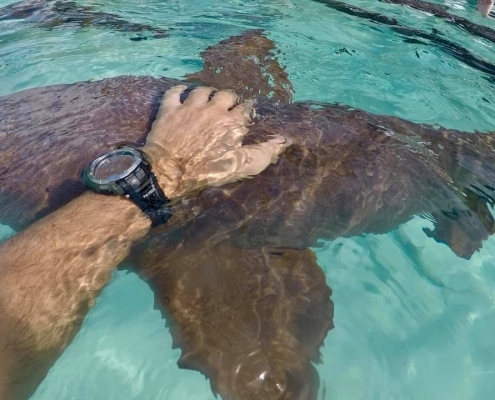 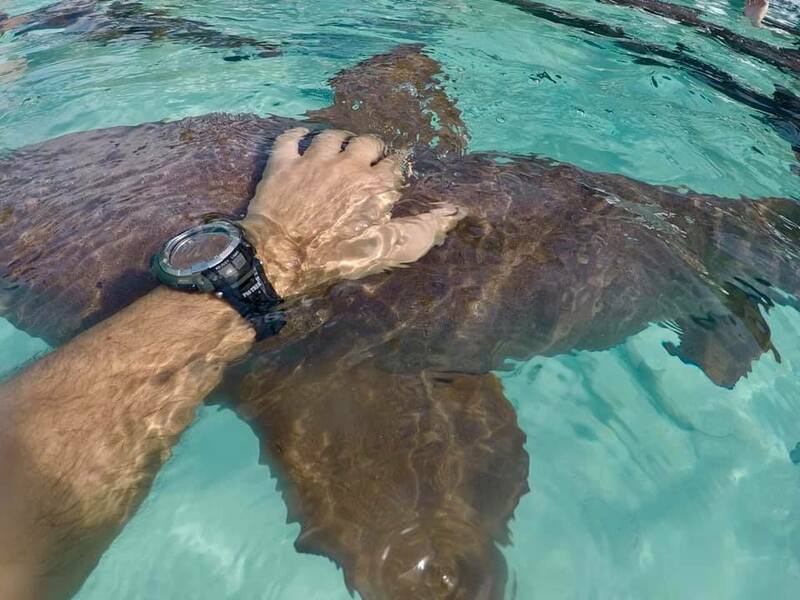 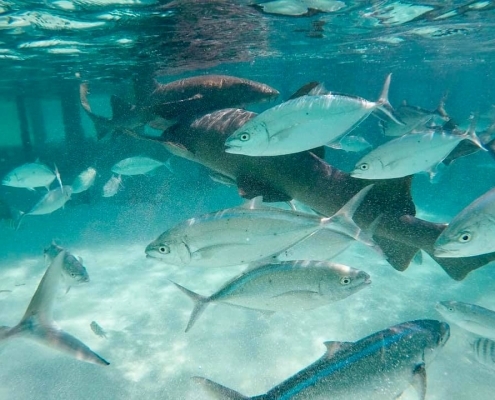 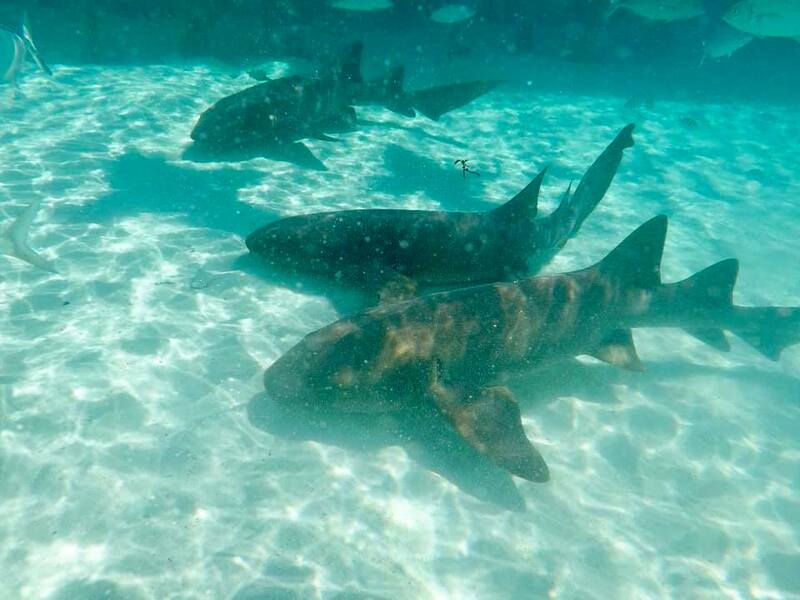 The Compass Cay is famous it’s dock where dozens of nurse sharks congregate and you can swim with them. 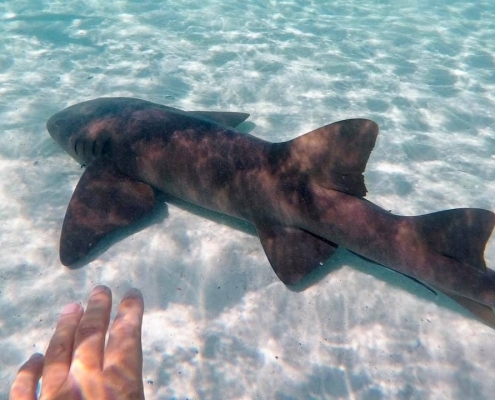 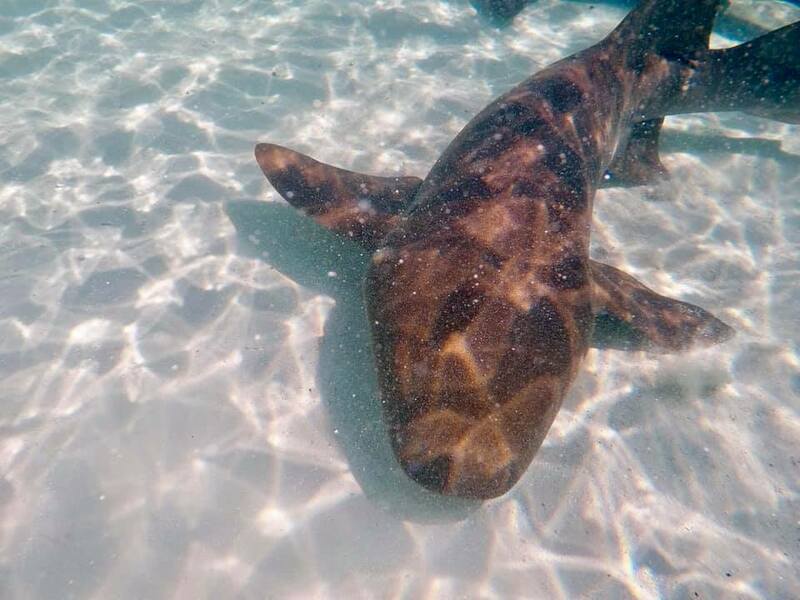 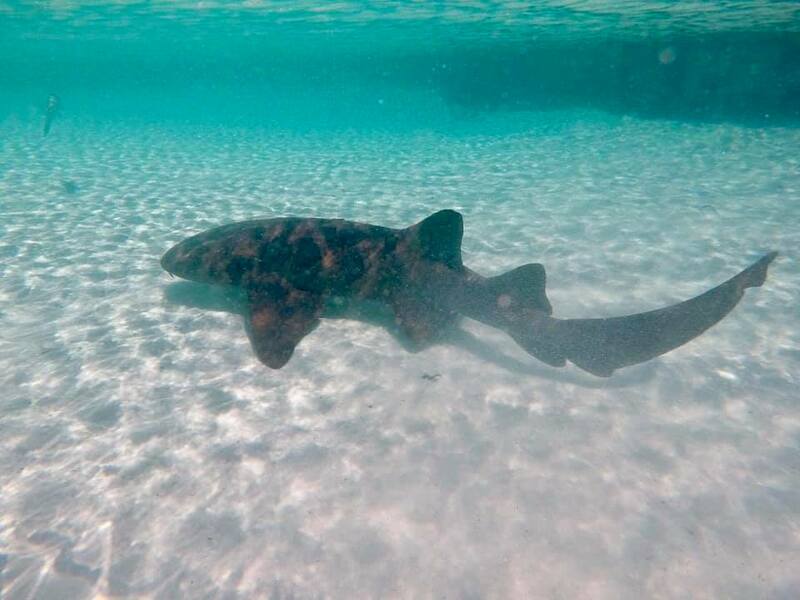 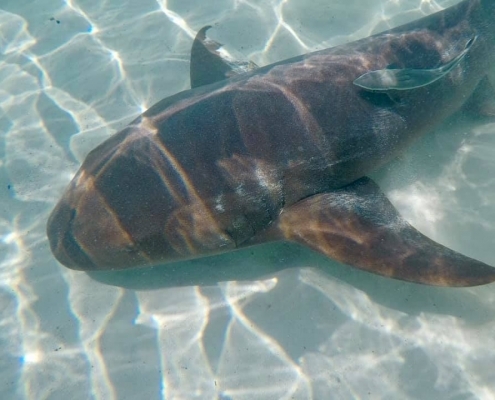 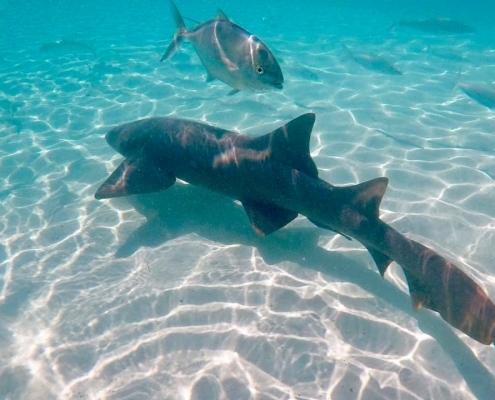 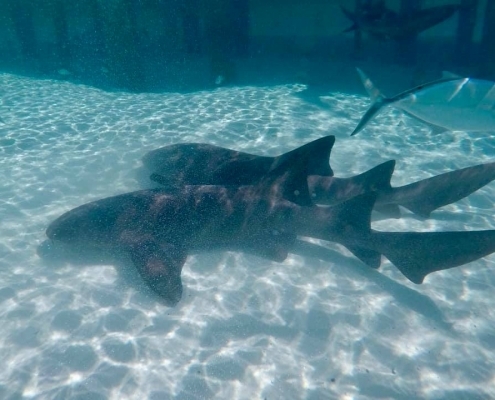 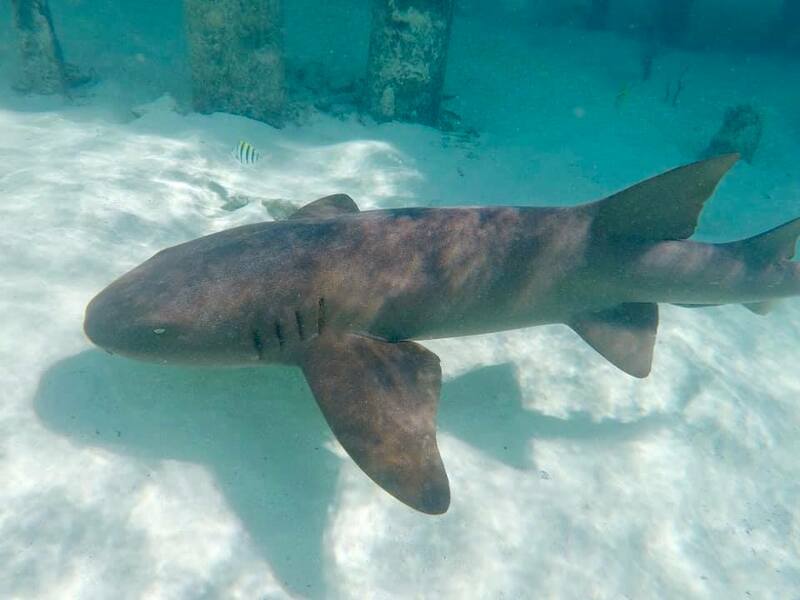 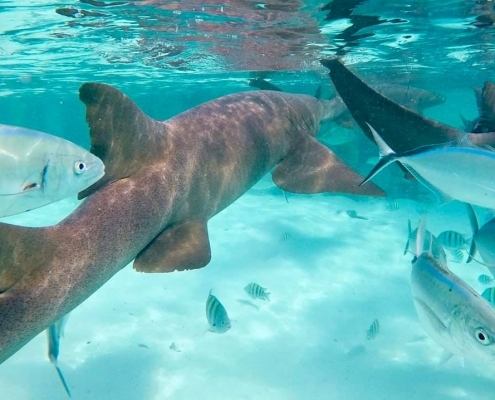 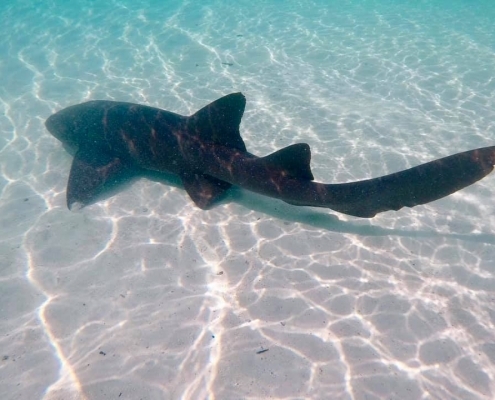 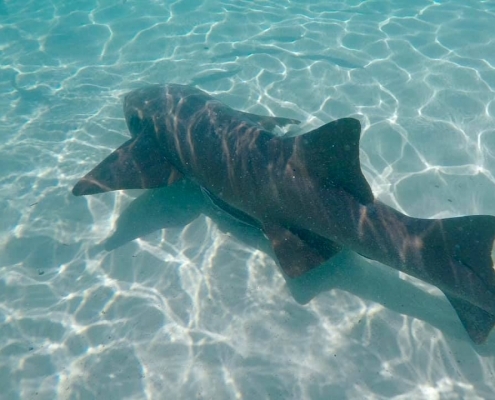 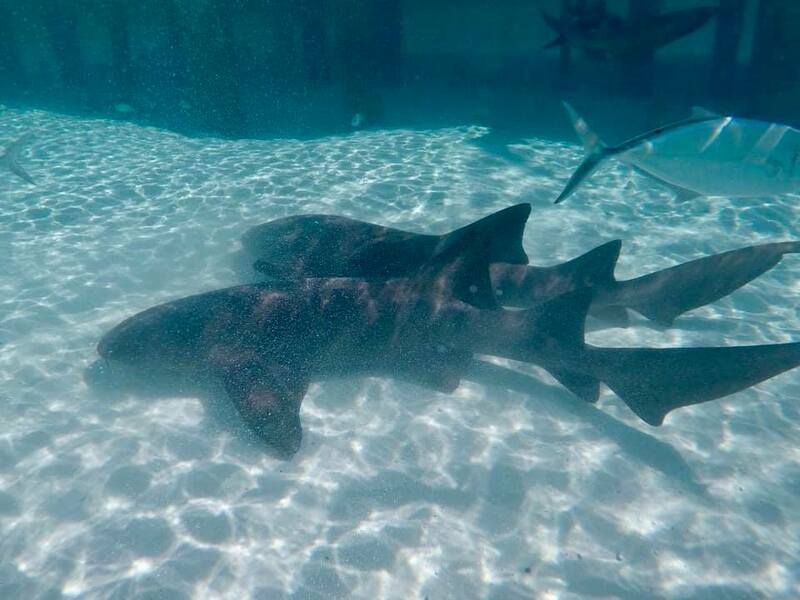 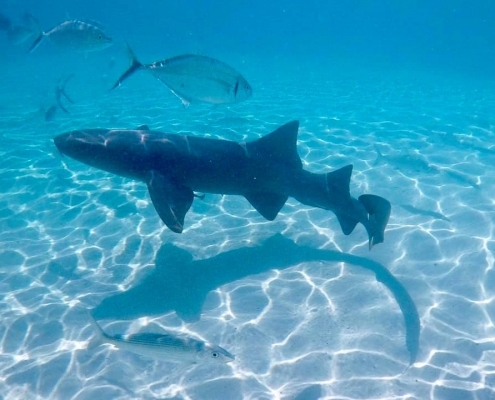 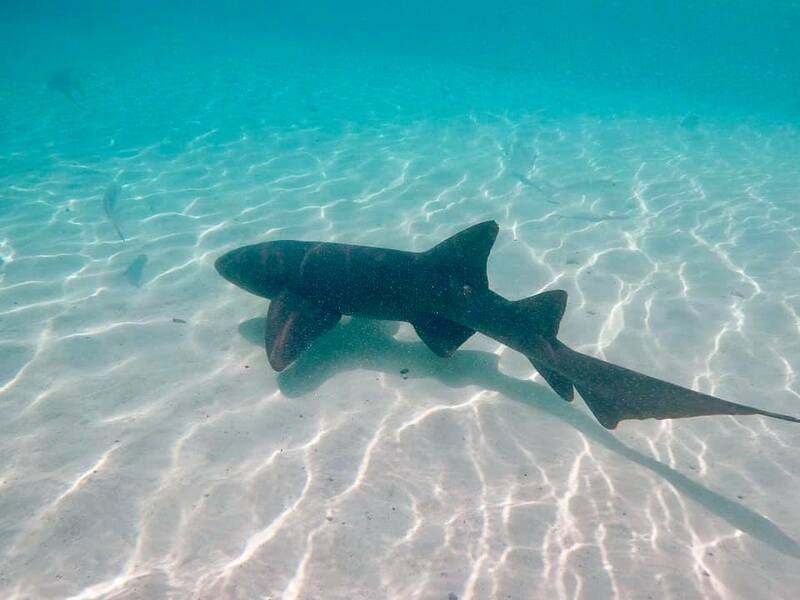 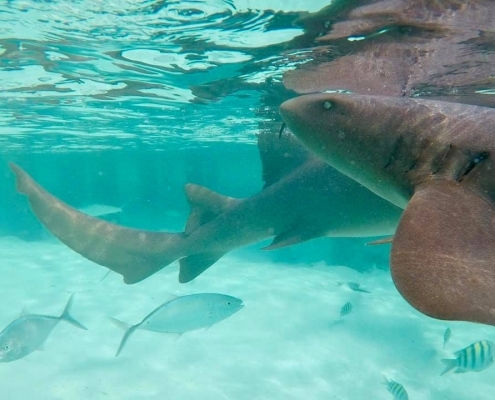 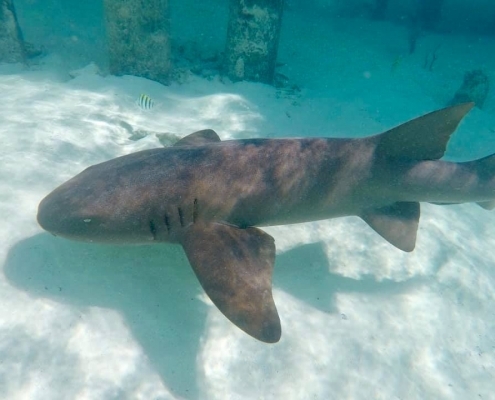 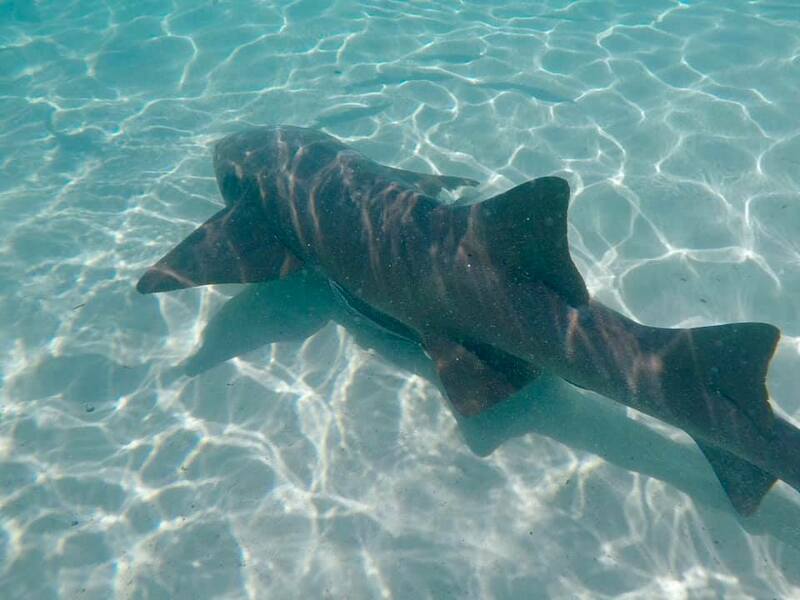 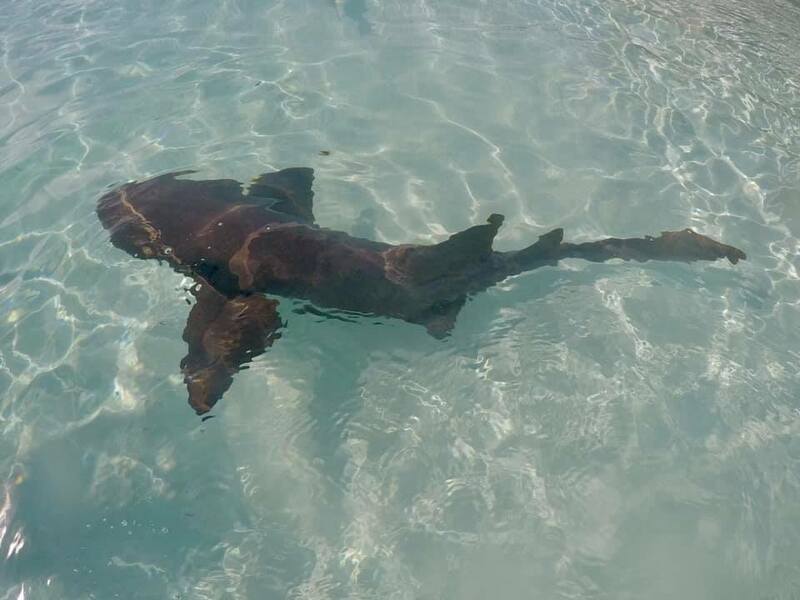 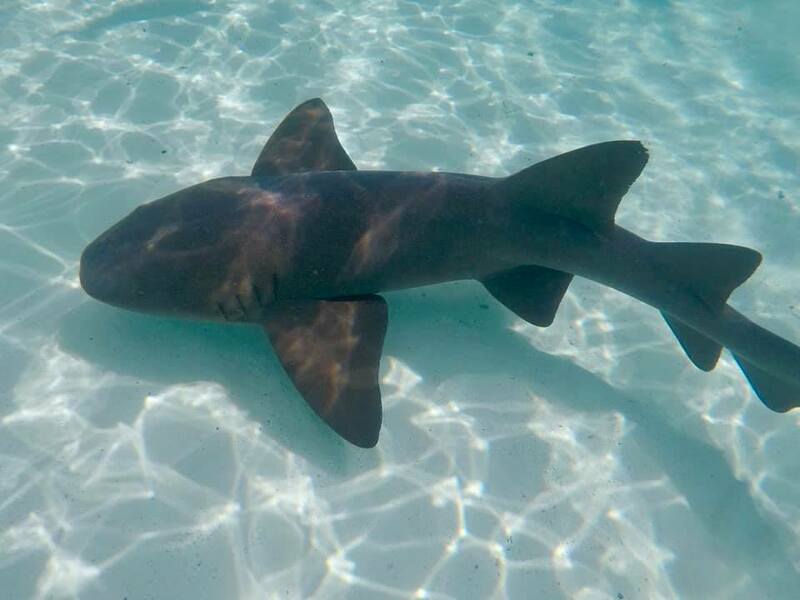 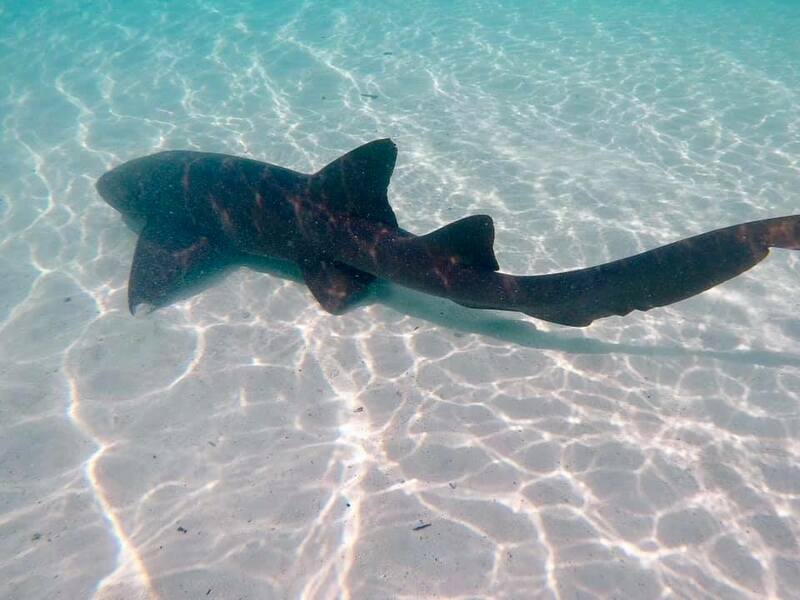 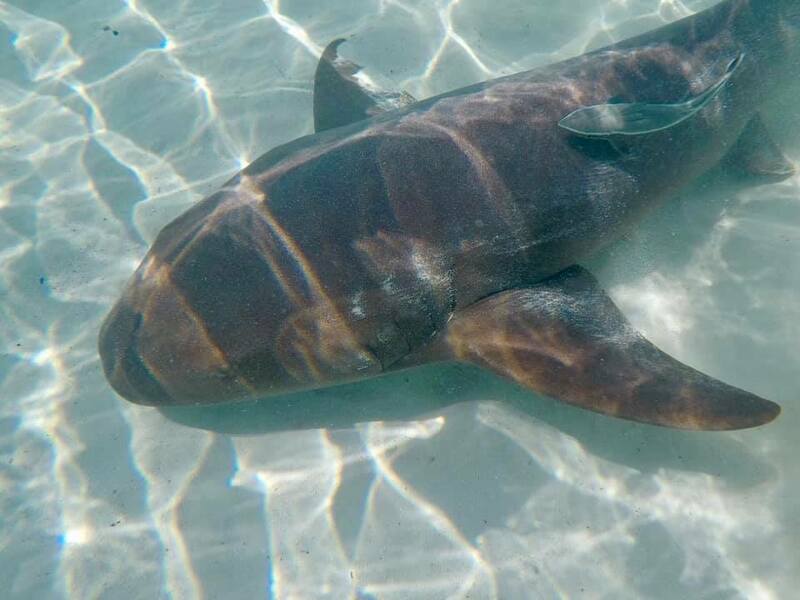 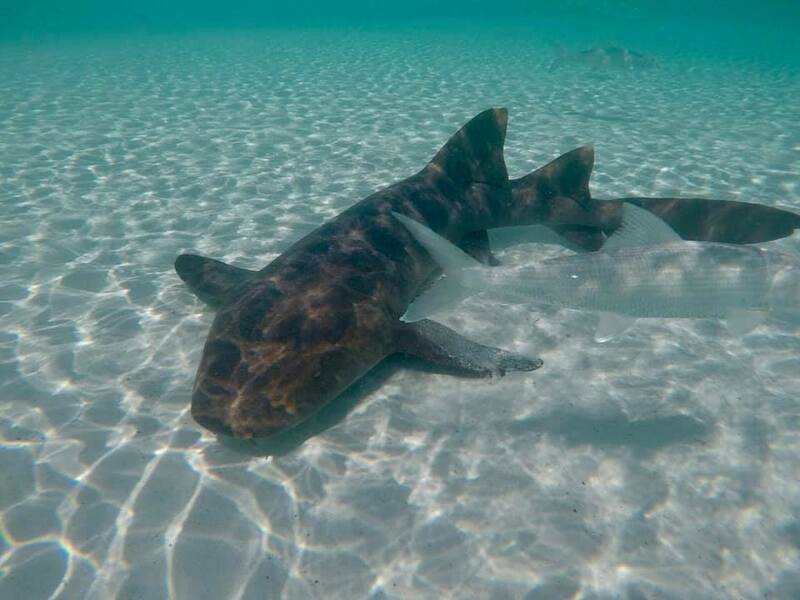 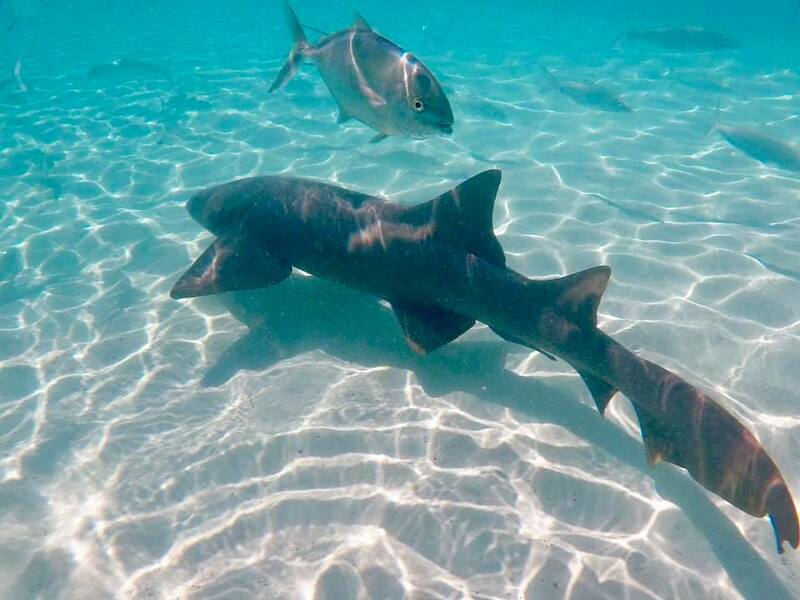 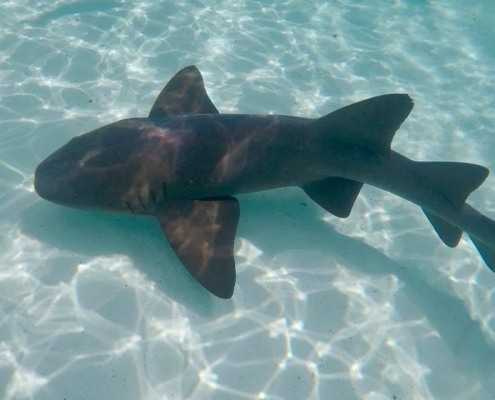 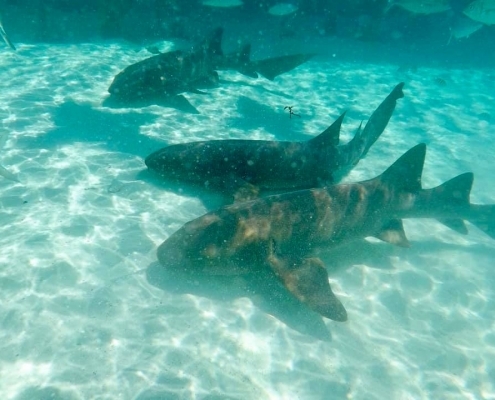 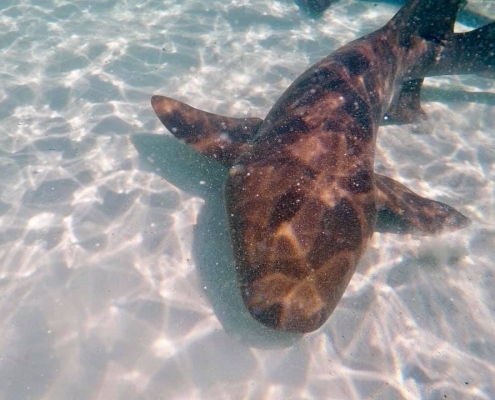 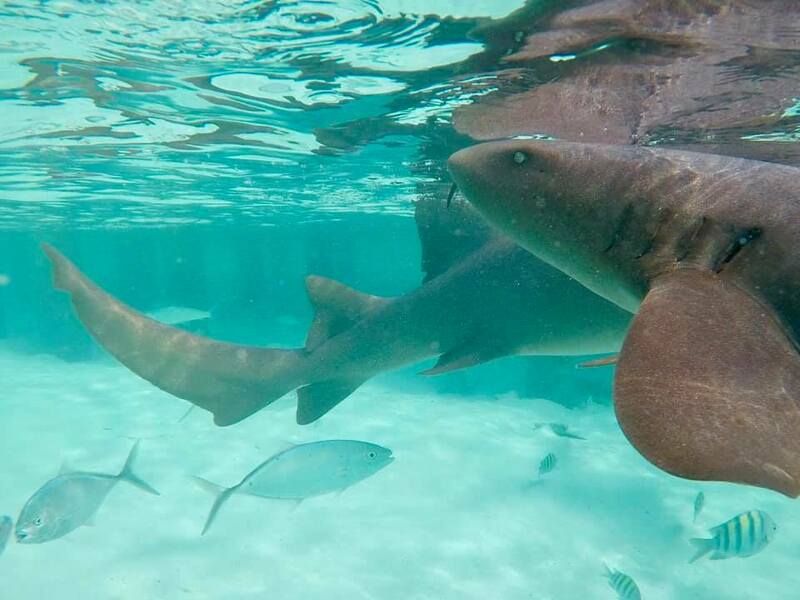 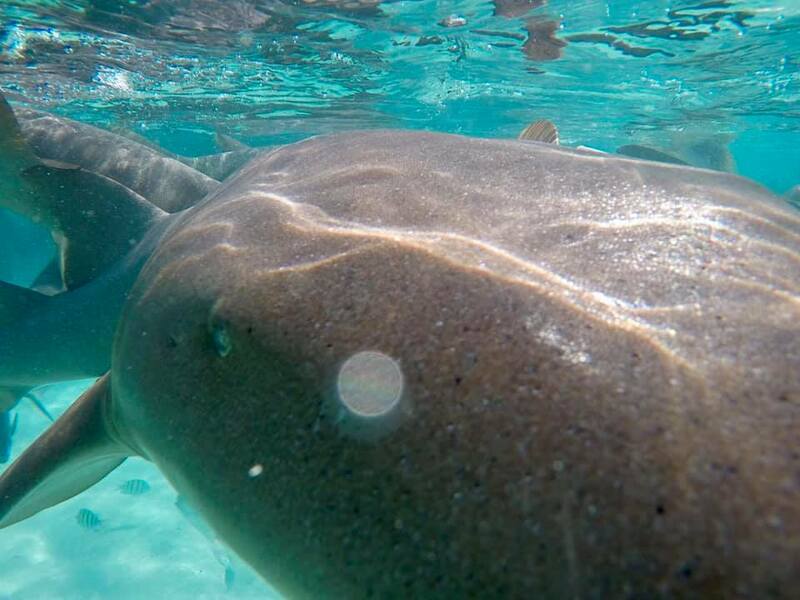 Nurse sharks are slow moving fish more closely related to stingrays then sharks – the do have fins but they also have a wide flat mouth and little antennae that they use while bottom feeding. 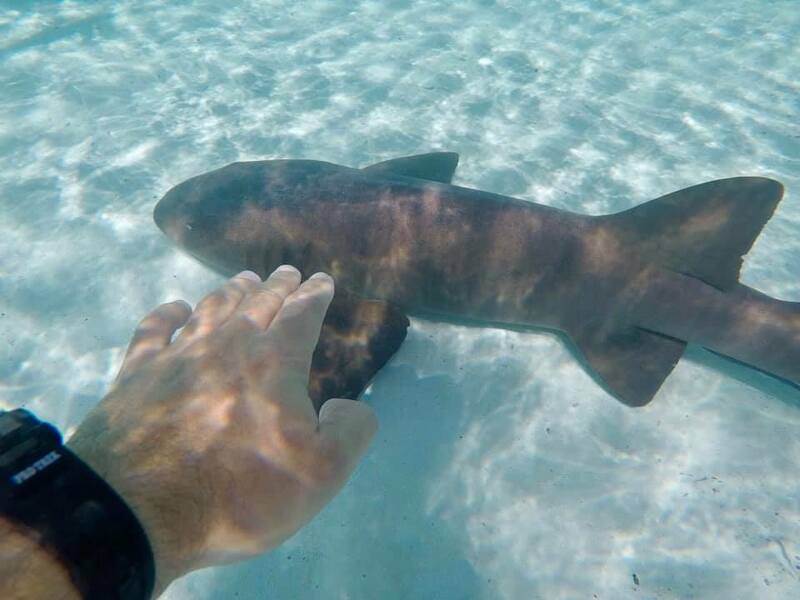 They are harmless and non aggressive although they do occasionally bite when cornered.